Do take advantage of ticket promotions! Throughout the festival, Summerfest partners with community based organizations to offer fest goers the opportunity to score a free ticket. Make a purchase at Goodwill, donate 3 nutritious non-perishable food items, or donate a gently used children’s book for free admission! You can find the full promotions list here. Do make a plan. Will you camp out all day to sit front row for your all-time favorite artist? Or will you spend your day exploring local vendors and sampling festival food, until the sun goes down? 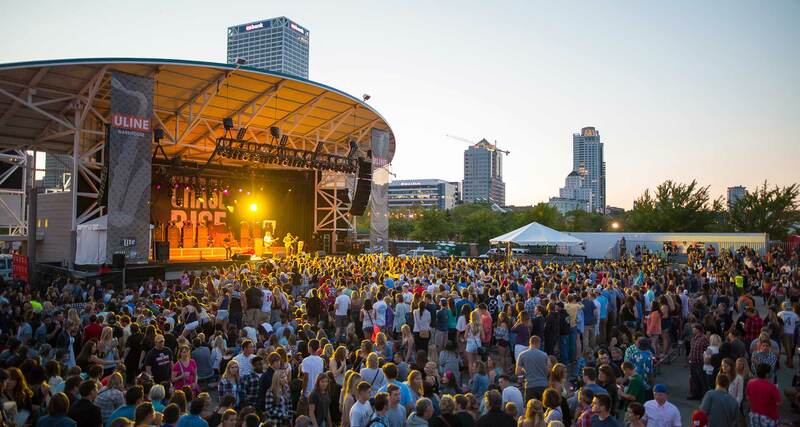 There are over 200 artists coming to this MKE festival over 11 days, a plan is a must. Do come hungry! Summerfest may be known for its legendary musical acts, but the food is a close second. Whether you’re in the mood for cheese curds from Miss Katie’s Diner, a cannoli from Peter Sciortino Bakery, an Italian beef from Millies Italian Sausage, or tacos from Belair Cantina, Summerfest is a foodie’s paradise. Don’t dismiss the small stages. Yes – Foster the People and Janelle Monae will both blow you away, but you may just find a new favorite artist tucked away on a small stage. Grab a brew, take a walk along the lake, and enjoy the sounds of all the talented up and coming artists! Don’t forget to hydrate! Beer is good, and the sun is hot, so make sure to stay refreshed and ready to rock. Most restaurants sell bottled water for just a few bucks, or you can stop at any of the bubblers (yes, it’s called a bubbler!) located outside of each of the restrooms. Don’t park, shuttle! Milwaukee is on its way to becoming one of the most public-transit friendly cities in the nation, which is why Milwaukee County Transit System has its own shuttle exclusively for Summerfest goers. The Freeway Flyers and Downtown Shuttle’s drop you off right at the front gate. If you prefer a more private ride, Uber!